Newman Hall is an international community of University students from Britain and around the World. 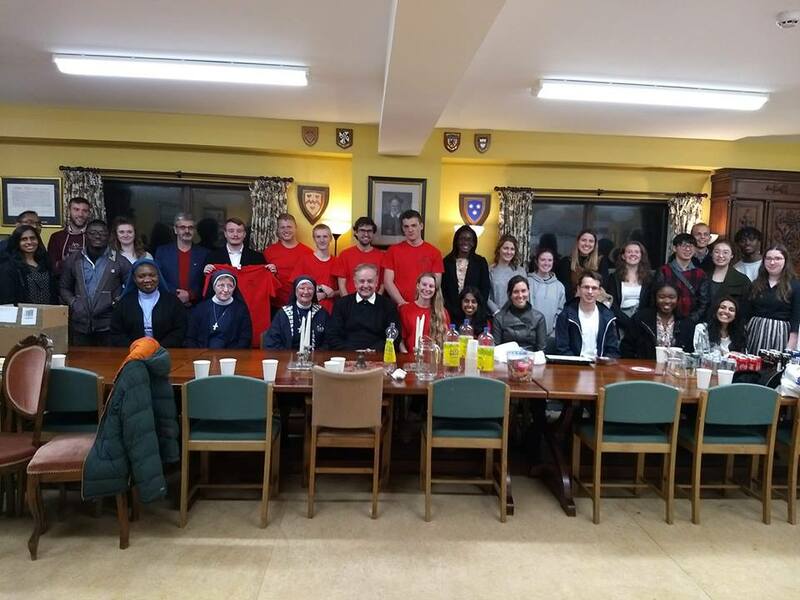 Students from Cardiff University, University of South Wales and The Royal Welsh College of Music and Drama enjoy life at Newman Hall alongside Catholic young professionals. 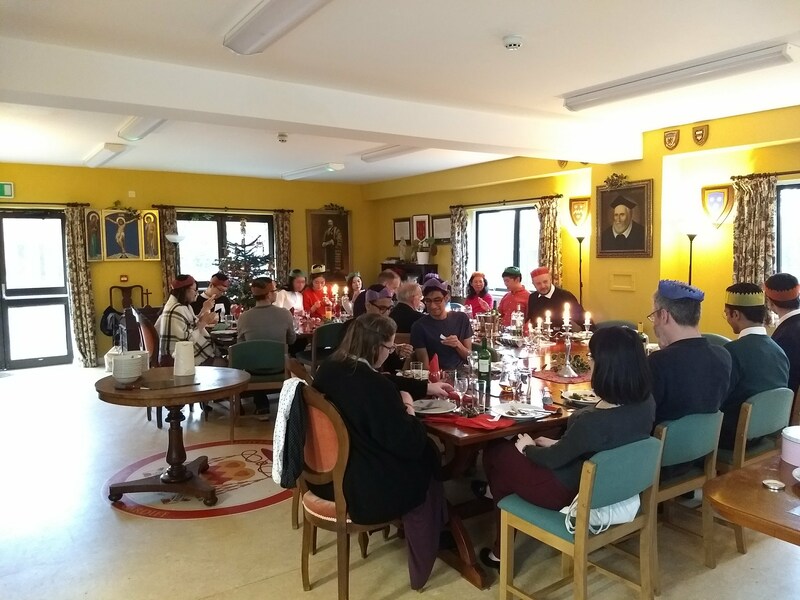 The Chaplain and Oratorian Fathers dine regularly with students in the Refectory. Newman Hall is rooted in Christian charity expressed through living out the joys and difficulties of life. Students share communal responsibilities for the smooth running of the house. All residents join the Oratorian Fathers and Chaplaincy community for Choral Mass on Sunday in the University Church and are invited to attend daily Mass and Eucharistic Adoration as well as evangelisation events and student led prayer. Keeping a good table is an important element in the tradition of Newman Hall. The Refectory plays host to celebrations for Feasts and Holy days to which guests are invited. Receptions and distinguished guests play an important part in our collegiate life. Meals provide an opportunity to get to know one another and an opportunity for what Cardinal Newman called the "collision of ideas" providing opportunities for challenge and amusement. Newman Hall was not founded for financial gain nor even as a philanthrophic enterprize. Newman Hall is a Catholic community at the heart of Cardiff City’s rich and diverse University culture. 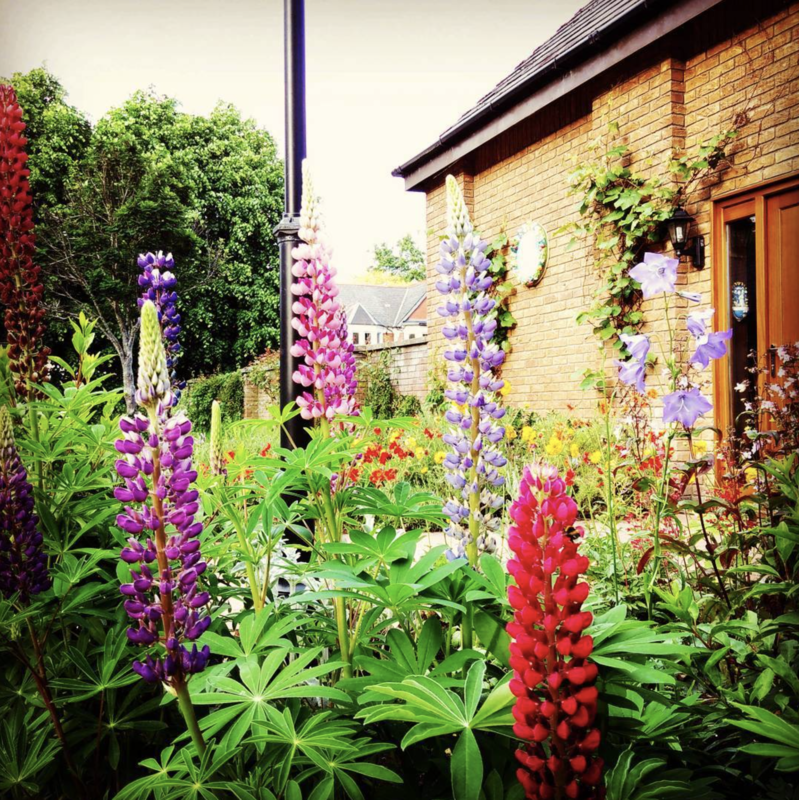 It is a meeting place for students and academics alongside the Sisters of Nazareth, the Russian Orthodox Chaplaincy and residents of Nazareth House, whose lives we also share. Newman Hall is also home to the Oratorian community of St. Philip Neri. 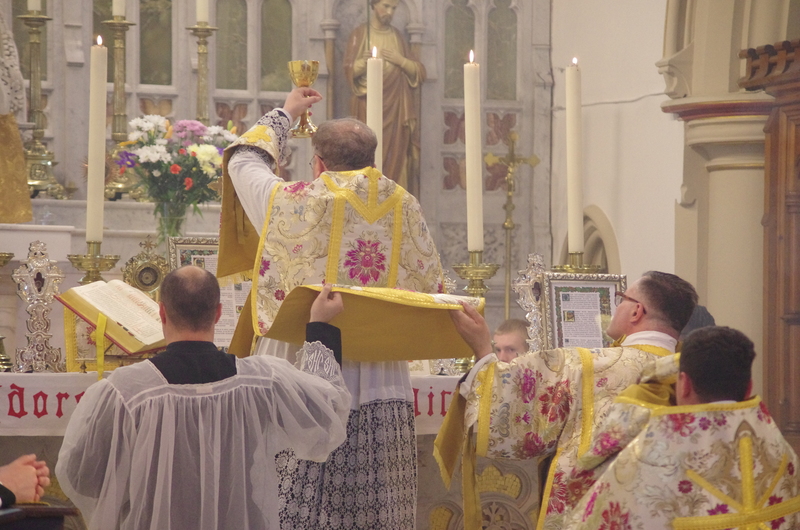 This community in formation has two principle apostolates: the proclamation of the Word of God and celebration of the Mass as well as the daily opportunity for the Sacrament of Confession; and the pastoral care of the whole Catholic community that gathers for Mass at the University Church at Nazareth House.